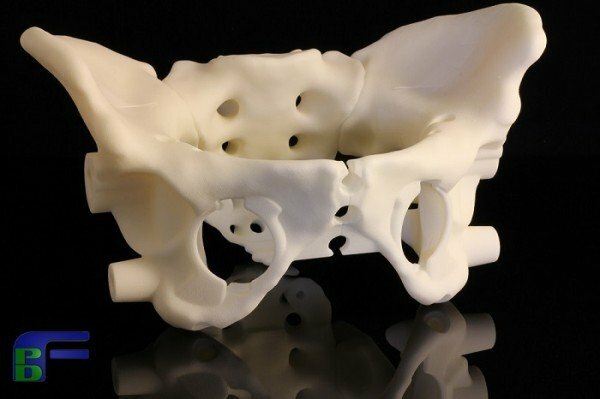 The medical community took immediate notice recently, when it was announced that Australian-based Anatomics successfully created a human rib cage using an electron beam Arcam 3D printer. Based on the success of this landmark design, coupled with the 1.3 million dollar cost of the machine used to create it, it should remind everyone of just how far 3D printing capabilities have come over the past decade. What was once a topic that blurred the lines of science fiction, is now making very real and very substantial impacts in the lives of people from all over the globe. One can only wonder the limits of how 3D printers can improve the productivity, revenues and potential of today's businesses. It’s now well recognized that the rapid prototyping and advanced 3D CAD designs have completely changed the ways in which manufacturing and engineering firms do business. Prototypes can be presented more quickly to clients, with extraordinary detail and the flexibility of making design changes in a far more expedited manner. And we're not talking about a limited handful of fly-by-night startup companies, here. This technology has been implemented, and is now in many ways being relied on, by major auto makers, defense firms, airline manufacturers, machining companies and countless others. Regardless of whether you're responsible for your company's new product development, or work in a fast-paced manufacturing or engineering department, you know the importance of accuracy, efficiency and flexibility when it comes to concepting and designing functional, market-ready models. This, along with many others, is precisely why so many successful firms are looking to 3D-print technology to improve the way they make and market goods. Located in Rochester NY Finnovation Product Development offers a wide spectrum of 3D printing services, including 3D CAD models, 3D laser scanning, rapid prototyping, SLS (Selective laser sintering) and complete prototype packages. Call us today at 585-472-9932 to learn more about how we can help your business thrive into the 21st century!